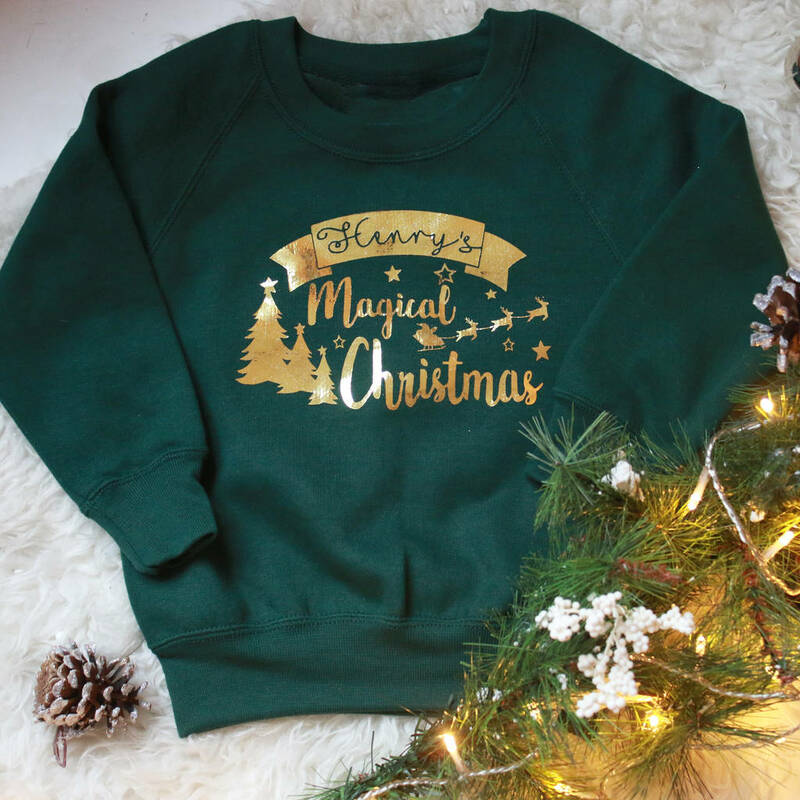 Personalised kid's magical christmas jumper. Our personalised bauble jumper is the perfect gift for Christmas. You can personalise it with your choice of name. A perfect Christmas gift idea for neices, nephews, children and grandchildren. We have a wide range of sizes from 6-12 months up to 13-14 years as well as an adult variant making them perfect for the whole family. Lovely and warm with a fleecy lining the Christmas jumper is perfect for children to wear over the Christmas season, children will love their own personalised Christmas jumper. 60% cotton and 40% polyster. Printed with human hands unsing eco friendly water based inks. Choose between an ink print from a range of colours. 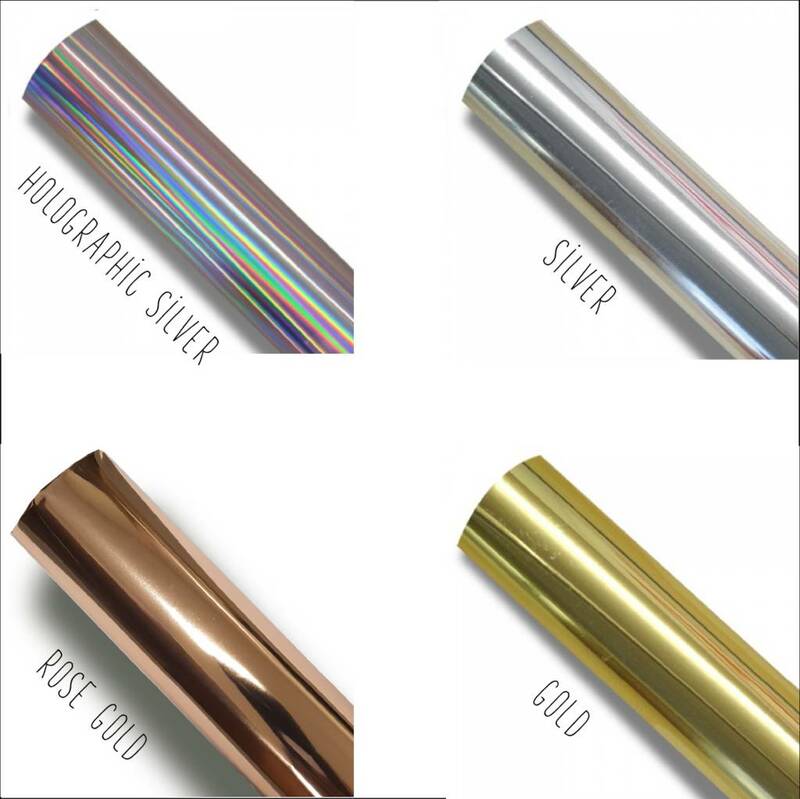 We also offer stunning foil metalic printing in a range of colours. 6-12 months, 1-2 years, 2-3 years, 3-4 years, 4-5 years, 5-6 years, 7-8 years, 9-10 years, 11-12 years, 13-14 years. Sweatshirts come in red, grey or black. Choice from White, Black, Red or green ink.